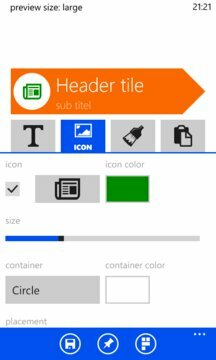 This app helps to organize your Start screen by generating distinctive HeaderTiles. 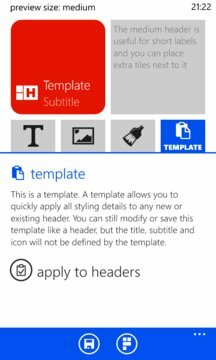 You can use those tiles as a speech bubble to point out certain sections of your Start screen, create some breathing space by placing large headers or combine the header with smaller tiles next and underneath them. We fully support all three tile sizes and offer various unique tile styles and further customization options. * What you see is what you get, the live preview will keep track of your customizations!